Comfortable double bed, complimentary tea & coffee tray, flat screen TV, hairdryer, power shower, central heating, abbey view. Comfortable double bed, complimentary tea & coffee tray, flat screen TV, hairdryer, power shower, central heating, view of North Yorkshire Moors. 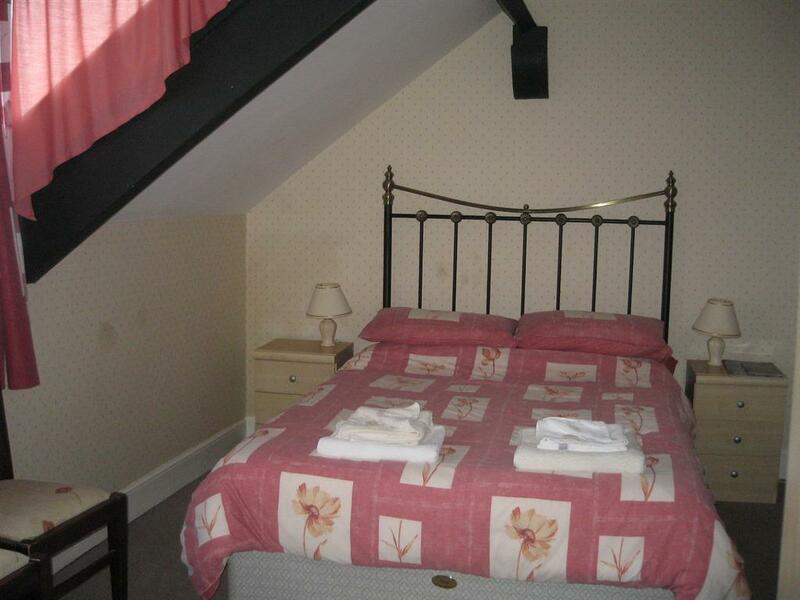 Comfortable double bed, complimentary tea & coffee tray, flat screen TV, hairdryer, power shower, central heating, stunning abbey view, sea view. Comfortable double bed, private shower room with W.C. & power shower, abbey view, complimentary tea & coffee tray, hairdryer, flat screen TV, central heating.private shower room is situated on the landing down 5 stairs from the bedroom but is soley for the use of guests in room 3 only. 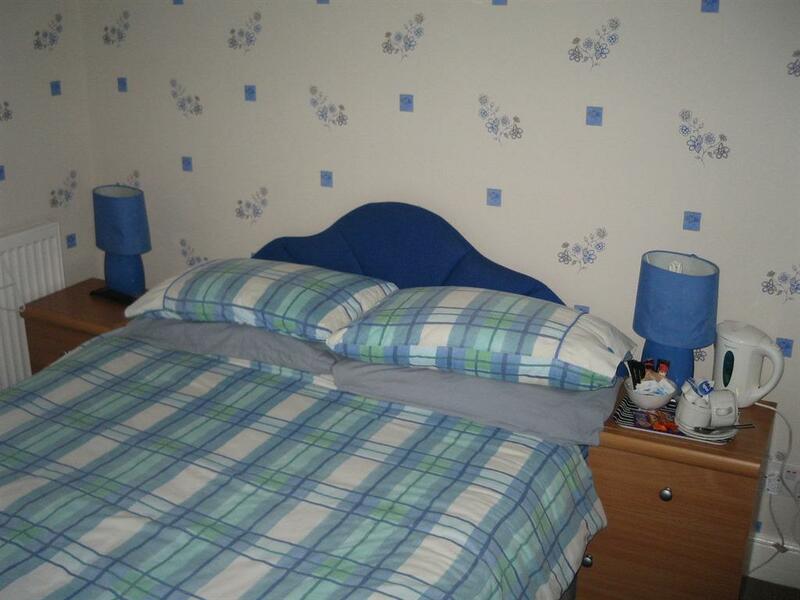 Comfortable double bed, comfortable single bed for use as a twin or a double room. 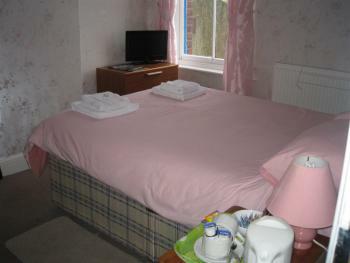 Complimentary tea & coffee tray, flat screen TV, hairdryer, power shower, central heating, view of North Yorkshire Moors. Comfortable double bed, comfortable single bed, guest bed, generous sized en suite, power shower, complimentary tea & coffee tray, hairdryer, flat screen TV, view of North Yorkshire Moors, travel cot available upon request. 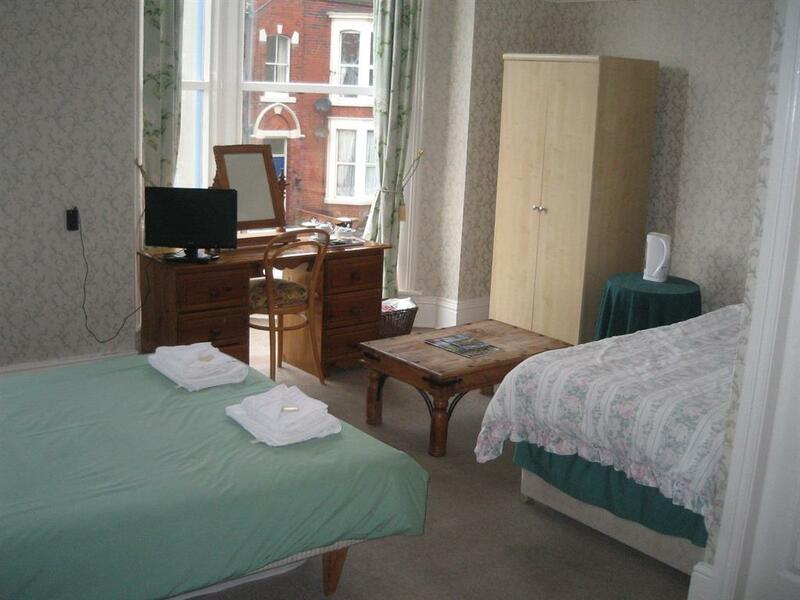 We look forward to welcoming you to The Beaches Guest House. We provide a hearty full english breakfast using fresh local produce with vegetarians and special diets catered for as well. Breakfast is served between 8.15AM and 9.00AM. 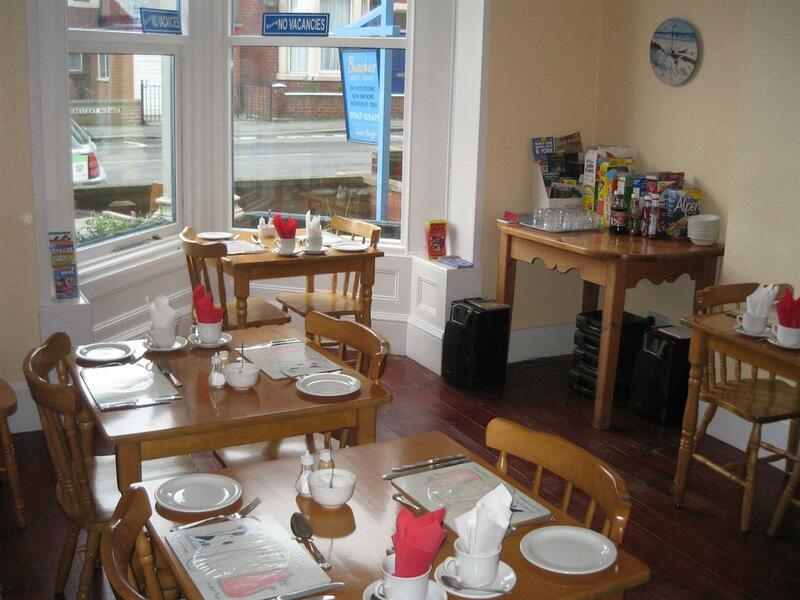 We offer a choice of cereals, chilled fruit juice, yoghurts, tea & coffee, toast & home made preserves, and a full cooked breakfast. Our full cooked English breakfast consists of local back bacon, finest quality sausage, grilled tomatoes, buttered mushrooms, baked beans and fried eggs. Alternatives & variations are available on request. All our guest rooms have flat screen TVs, hairdryers, complimentary tea & coffee trays ,central heating and tasteful decoration. Laundry facilities are available upon request. 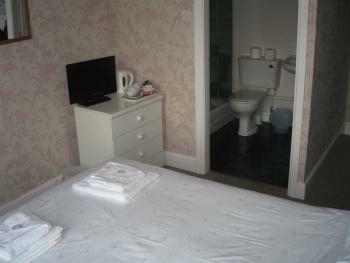 Most rooms are en-suite with power showers. We can accommodate dogs, please phone to discuss requirements prior to booking. We welcome families & cater for babies & toddlers as well as older children, we can provide a cot with blankets as well as a high chair in the dining room. Secure parking available for motor bikes, mopeds & pushbikes. Plenty of free parking available on the streets and seafront. At busy times leisure centre car park opposite costs 5 pounds for 24 hours. 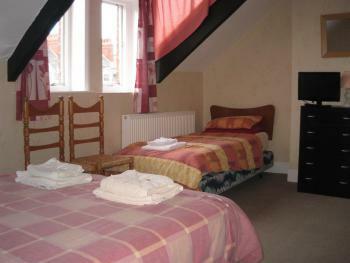 We can only accept payment for accommodation by cash (pound sterling) or cheque. Check in time is between 2 & 5pm although alternative times can be arranged. Please phone to discuss if necessary. We ask guests to check out by 10AM on the day of departure. A minimum stay of 2 nights at weekends between Easter and November and during August events such as Whitby regatta and Whitby folk week the same policy applies. Follow directions to West Cliff and Whitby pavilion. From the front with the sea behind you proceed along Royal Crescent, Crescent Avenue is the only road off Royal Crescent. 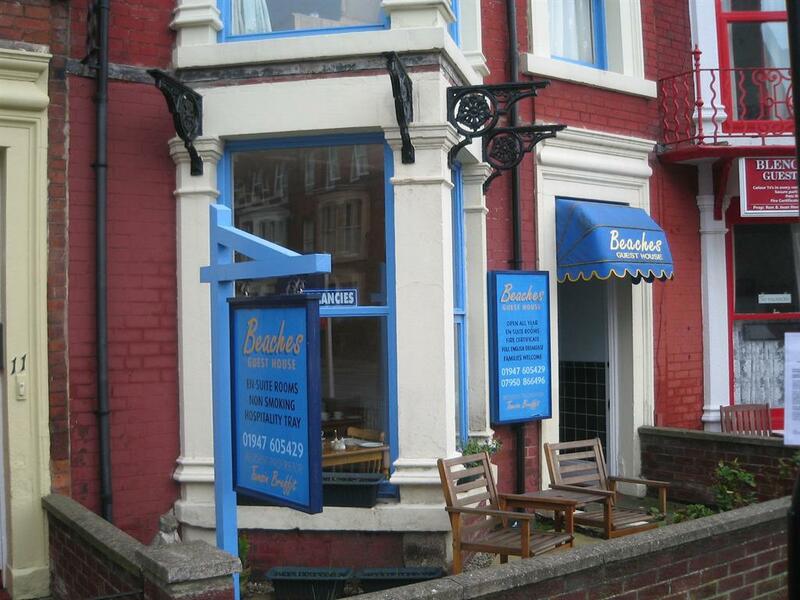 Beaches guest house is situated approx 100 yards along Crescent Avenue on the left hand side.